It happens that the baby's sleep is not regular. But by the age of 2, the child, as a rule, gets used to a sleep schedule. To accelerate this process, parents need to be patient and observant. It is necessary to find out how the baby sleeps, when they fall asleep, how much and what should they eat, so that their dream is sweet. After all, everything is very individual. To properly organize the sleep schedule, remember: the cycle of wakefulness for kids under 2 years old is 5-6 hours. What does it mean? This means that the baby's body is so strong that it can be active for 5-6 hours. And then a wave of fatigue and drowsiness shrouds. It is important to catch this moment and start putting your baby to sleep. This law applies to both daytime and night sleep. If you miss the right time, putting the baby to sleep can be delayed and turn into real torture for both the child and the parents. Of course, you should not stick to the schedule with a strict accuracy of 10 minutes. You are not in the army, so you do not have to trample a child. Some deviations from the regime within half an hour are quite acceptable. In order to put the baby to bed without tears, do not let your child sleep too long during the day. The same goes for morning sleep. You want your baby to sleep early in the day - wake them up in the morning a bit earlier than they usually wake up. Another thing, if the child does not sleep, if she/he is scared of something, is upset or experienced some kind of stress during the day. In this case, it is necessary to find out the causes of fear and pain, and help the child to cope with this problem. And it's possible that the child is having their teeth coming out or that it is just a phase of active growth. Doctors note that during periods of active growth, children fall asleep badly and sleep a little. If you can not put the baby to bed for a long time, you should analyze the situation. Maybe the bedroom is too hot or the air is fustly. So, it's necessary to well ventilate the room. And remember: kids love different rituals very much. For example, make the rule of doing a massage and bathing the baby at the same time before bedtime. Subsequently, these procedures will induce a child to sleep. Use relaxation exercises: stroking arms and legs, light massage, hugs, trays with soothing herbs. When the baby is full, has walked a lot, and relaxed, it's time to read a good and calm fairy tale at night, sing a lullaby, and listen to a playlist with calm music. It is very important if the baby is difficult to put on sleep that everyone in the house goes to bed at the same time as the child. Well, or at least pretend they did. Then the kid will understand: when the night sets in, it is necessary to go to sleep. Do not lose hope if you can not put a child to bed for a long time. Remember: the children themselves want and know when they should go to sleep they just do not follow the schedule and you are to correct this. Breastfeeding is one of the most natural and useful exercises for mom and her baby. Nothing has such an effect on the future health of the newborn, like breastfeeding. Formulas that would recreate the unique properties of breast milk simply do not exist, however much vitamins, minerals, and nutritional supplements are included in them. Breast milk is the only complete natural nutrition for infants. Equally important is that breastfeeding contributes to the extremely close relationship between mother and child, which can only be created by the mother. This is a close and intimate process that effects the social and personal behavior of a child when he grows up. In this article, we will shed light on why you should consider breastfeeding your newborn as long as possible and what advantages from this you as well as your child will get. -Breast milk contains everything that your baby needs: proteins, fats, lactose, vitamins, iron, minerals, water, and enzymes - and it is in those quantities that are necessary for optimal growth and development. -Children breastfed are healthier. Breast milk contains substances that prevent the development of pathogenic bacteria causing gastrointestinal diseases and diarrhea in the intestines. -Children who received breast milk are not as likely to suffer from ear and respiratory infections; in addition, they have a reduced likelihood of the development of allergies, cancer, childhood diabetes, and obesity. -Breastfeeding children are less likely to develop sudden infant mortality syndrome (SIMS). -Breastfeeding reduces the risk of necrotizing enterocolitis (NEC). -Breast milk is sterile, not infected with bacteria and has antimicrobial properties. -Breast milk has the right temperature and does not require any preparation. It is always suitable and ready for your child to consume. -People who are breastfeeding are less likely to have diabetes, cardiovascular disease, eczema, asthma, and other allergic disorders throughout life. -Breastfeeding stimulates the development of the brain. Studies have shown that children who have been eating breast milk have better visual memory and vision. -Breastfeeding is more than just a meal. It strengthens the emotional relationship between the child and mother, gives love and warmth, creates a feeling of closeness. -Breastfeeding reduces postpartum hemorrhage and reduces the risk of anemia. -Breastfeeding helps a mother to recover her body. -Breastfeeding allows you to postpone the onset of a new pregnancy. -Breastfeeding provides protection against several types of breast cancer, ovarian cancer, and osteoporosis. -Maternal breastfeeding often raises self-esteem. In addition, they better understand their children. -Breast milk is always available and saves power, time and money. -Children who receive breast milk are less likely to fall ill, so their moms do not have to be often absent from the workplace. For week 31 of the weekly portrait project I wanted to write about what we did on my last day with my two boys for three weeks. The boys are spending the majority of the summer holidays with their dad who lives over 300 miles away so I am not quite sure yet how I am going to be able to complete weeks 32, 33, and 34. I am hoping their dad will send me some photos over of what they have been up to together. For this week I was hoping to use photos from our train journey but as the train was overcrowded, this was impossible to get any nice photos. Instead I am going to show photos from our last day out in Plymouth where I treated the boys to a boat trip and a posh meal at the Royal William yard. We took the ferry from the Plymouth hoe to the Royal William yard harbour which used to be an old navy base. The yard has now been developed into restaurants, shops, businesses and apartments. I love the atmosphere there, it is very relaxed and a great place to socialise. The boys very much enjoyed the thirty minute ferry ride even if it was slightly chilly and we were splashed a couple of times by the waves. When the ferry landed in the harbour we decided to have a quick walk around to stretch our legs and explore all the little hidden places. The boys especially loved a little shelter by the popular restaurant River Cottage. They ran around in circles and tried their best to hide from me. I had intended on taking the children to eat at the River Cottage canteen which is owned by Hugh Fearnley Whittingstall. However they had stopped serving lunch when we arrived which I was a little disappointed about. The children are massive fans of pasta and Pizza so I thought there would no where better to take them than Prezzos located at the opposite side of the harbour. Everyone was sat out side enjoying a nice glass of wine, soaking up the sunshine but we decided to eat in to avoid the noise, bugs and of course the sun burn. The children went for meatballs and pasta which I was quite jealous of. It looked so nice. We really enjoyed our meal at Prezzos. The food was delicious so we may have to return for seconds when the boys come home from their dads. The only thing was that we were so full that we thought it best to not take the ferry back to the city centre. Instead we took the bus straight home but we really enjoyed our little day out together. For this weeks My sunday photo I am posting a photo I took while we were on a boat trip around the Plymouth sound. I have been a single mother for a few years now and in that time I overheard some very disturbing comments being made against people in my situation. I try not to listen to them because I know that they are untrue and that single parents should be regarded as super-heros as it is one of the hardest jobs in the world, especially if like me you have no family around to help with child care. Maybe you're a single parent too or if you are not, chances are you know one. The biggest things that single parents deal with is feeling alone and misunderstood. I also feel left out/different. Single parenting is lonely and I admit I have to fight daily with feelings of jealously towards 'happy' families and that feeling like you're not worth being loved. Everyone around me seems to be in a happy relationship and I am always the single one at the table during family meals out. It is easy to judge someone before knowing their story and background. There is always a good reason why a person is in the situation they are in today so it bugs me that people are so quick to make assumptions nowadays. Nobody likes to be judged, labelled and misunderstood, it's a horrible feeling. It is easy to say to me that I always look sad and begin to list a ton of things that I have gone wrong in my life. I know what went wrong and there is no need to judge me for the mistakes I have made. There is also no need to make assumptions. Yes, both my children are from the same father (a question I have been asked many times), yes I was in a happy stable relationship with a good career when I made the decision to have children, and no I didn't ask/want to be a single mum. Please please don't judge, judging people doesn't help anyone. 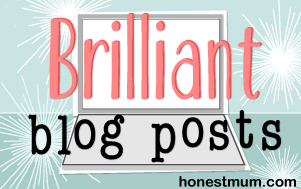 I know that there are thousands of single parents out there and I am so glad to have been able to meet others in similar situations to me through blogging. It why I still want to carry on and I really value all the support and encouragement I get when times are hard. - I am desperate to find a guy, one with a fat wallet, because I just can't be without a partner. Oh and some have even presumed that I want to steal their husbands because I am so desperate. It is also unfair to say that I need a man in my life to be happy. When people say 'why aren't you putting the effort in on the dating websites?' it makes me feel like I am letting them down. Why do I need to be in a relationship? In my opinion, I am better off as a single parent. - Assume that I am so extremely poor that I cannot pay my side of the bill when we all eat out/stop for a coffee together. Also its kind of not OK to tell me that I shouldn't be buying myself and the children new clothes, having days outs, taking a trip to the theatre, and that I should be limiting trips to the supermarket. Nobody wants to discuss their personal finances and have people tell them how to manage them unless they are working for the bank of course. - Some people think the complete opposite to the last point which is that I am rolling in tons of money because I get CSA and benefits. This really bugs me because its far from the truth. I don't get a lot from the government and hardly anything from CSA. When I tell people the amount of help I actually get from CSA they tend to be horrified. - I don't work and I just sit on my bum all day watching Jeremy Kyle with a bag full of cookies. Actually I do work, yes it's only part time but I don't think we could have the lifestyle we have today if i didn't work. When I get home I wish I could fall onto the sofa but there is just so much to do that I don't normally sit down until the children go to bed. Just because I am a single parent that doesn't mean I am lazy. - I sleep about because I have two children with no father around. This is what I feel like people think of me all the time when in fact I haven't had a partner in two years and that was my husband. I have never had a one night stand and I was in loving relationship when the children were born. Unfortunately relationships break down through differences, not all are because one partner was unfaithful. My relationship broke down because it was better for the children to separate. - Single mums can't be hired because of their demanding lifestyles and family responsibilities. My previous employer hated me for being a single mum and made life difficult for me. I left because of the discrimination I felt and I wasn't the only mum there who felt forced to hand in their notice. When I went for interviews for a new job, many employers expressed their concern that I was a single mum and so wouldn't be able to fulfil their expectations for new employees. I guess they felt I was going to take so much time off, be unable to work shift patterns or be too tired to work my best. I think this is extremely unfair because parents know hard work/long hours and want to work to provide a good life for their children. - A single mum's child will grow up to be a menace to society. This statement can be true for children growing up in both single parent homes or two parent homes. There are so many examples where children have come from single parent homes and have gone on to succeed in life. Just because their parents are no longer together, that doesn't mean that they are going to fail in life. Single parents are able to love and nurture their children just like married couples can. I know this was a bit of a long rant but I just wanted to get all my anger out onto a blog post about how I have been treated these past few years. Hopefully this post will relate to other single parents out there and encourage them to ignore any negative assumptions they might experience along their journey. Have you heard any assumptions lately about single parents that you feel should be put to rest? This weeks portraits for Living arrows were taken during a day out in Plymouth on Saturday. We avoided the city and headed to the waterfront to check out all the classic sail boats that were moored up for the weekend. The harbour was packed full of people but we still managed to have a lovely time. This weeks sunday photo was taken at the national marine aquarium in Plymouth. It was fairly dark in there so apologies for the grainy photo but this is Snorkel the loggerhead turtle, a favourite amongst everyone who visits the aquarium. She was rescued 25 years ago after being washed up on the beaches of Cornwall but was too ill to be released back into the wild. She is blind in one eye and has a deformed shell so she cannot swim very well but she is definitely a beauty. 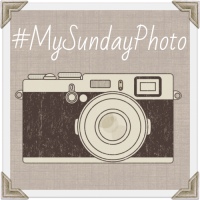 Linking up to my sunday photo. On Sunday you turned Seven! I can't believe it's been seven years since the midwives handed me another beautiful and precious little angel. You were a spitting image of your big brother and you still are. Your birth was exhausting and wasn't without complications but when I first held you in my arms, everything was forgotten, it was love at first sight. You were a good baby, you didn't cry too much and seemed content to sit in your chair staring at your big brother running around you. But then you learned to crawl and climb and we noticed what an amazing personality you were developing. You were a little explorer (and still are) and love to get into everything. You were hilarious and always had everyone in fits of laughter. One thing I really love about you Thomas is how much you love me. You loved and still love our mummy and son cuddle time. My favourite memories will always be you and I on the sofa reading together surrounded by all your teddies who never left your side. You're about to leave infant school and head to junior school. You have so many friends and I am sure you will be fine. Everyone you meet absolutely loves you and I couldn't be more proud of my confident little ball of energy. All your school reports boast how smart you are and your teachers tell me they love having you in their class. I just know you are going to so well in the rest of your school years. I know that you will change as you grow up, but I hope some part of you always stays as you are now, sweet, funny, loving, inquisitive, and excited about everything. I am so blessed to be able to call you my son and I just know Alfie loves being your big brother. You two are the best of friends and I hope you always will be. You and your brother have made the my world worth living. I hope you are able to achieve your dreams and live the life you deserve. Right now, it's your ambition to become a zoo keeper. I think you would be perfect. You are so loving and caring towards animals, you only want to watch animal planet on TV and all the neighbour hood pets come running to you and only you for lots of cuddles. But if your dreams do not work out for you, just know that I will always be there to support you and help you back on the right path. So happy Seventh birthday baby boy. I hope I made it special for you. We had a fantastic day out at your favourite theme park, Woodlands on the Saturday and Granddad came to take you for fish and chips on the beach on Sunday. You were smiling and giggling the whole weekend and I hope you will remember the fun you had for many years to come. I also hope you enjoyed your birthday cake which Alfie insisted he gave to you.